MIngFeng Packaging deisgns, develops, and manufactures cardboard box for electronic gear companies. 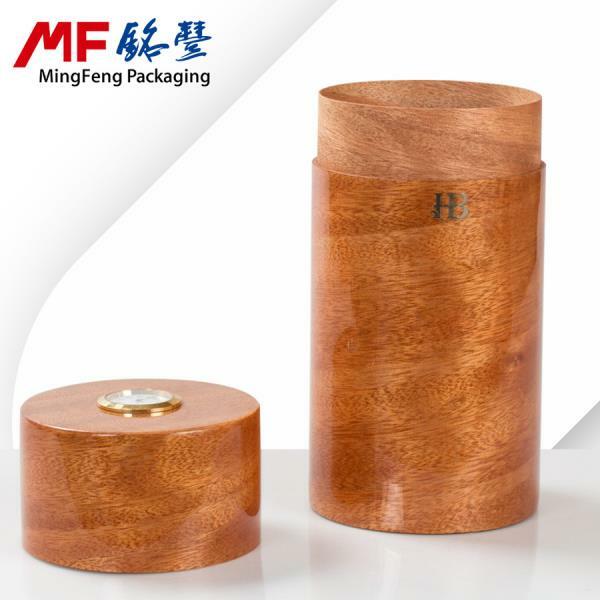 MIngFeng Packaging provides professional solution, exquisite hand crafts to build cosmetic bags and boxes. To cater the need of environmental protection, we have developed a new material called "Biomass Environmental Protection Comfasit Materias" which is biodegradable and this is the best alternative of wood. A clean design with wood finish is the elegant presentation of luxury cosmetic products. The special design opening of cosmetic box which serves the purpose of packaging and attractive display for premium beauty & cosmetic products. This cosmetic box is made with printed paper round shape, branded with hot-stamping (reference: 30017058 / Size: 165*165*171mm. Ming Feng also offers customized design to achieve specific project requirements. The premium cosmetic box is made with MDF material and decorated with High-end Veneer/High-end Piano Spray Lacquer. It can be made in various colors and sizes according to project requirements.